Founded in 1921, American Education Week was designed to inform "the public of the accomplishments and needs of the public schools and to secure the cooperation and support of the public in meeting those needs." 17 years later, President Franklin D. Roosevelt addressed "the teachers and patrons of American schools" about the relationship between democracy and education. As American Education Week is once more observed throughout the schools of the United States, opportunity again is afforded to evaluate the part which our schools play in the preservation and promotion of democratic life. Democracy cannot succeed unless those who express their choice are prepared to choose wisely. The real safeguard of democracy, therefore, is education (Sep. 27, 1938). It will make sense for researchers to mine data to learn which materials and teaching strategies are effective for which students – and then feed that information back to students, teachers, and parents (Mar. 31, 2011). Some may note that Weiss' post was from 2011, and that her views might have "evolved," in part, due to the good work of ED's diverse, passionate, and caring colleagues. Yet with such a Machiavellian view of education, I wonder how Weiss even ended up in ED in the first place. I'm not interested in gnarling Weiss' reputation. I am interested in engaging colleagues in a critique of the anti-democratic practices that sometimes pass for a "kinder and gentler" neoliberalism. A neoliberalism that sees children as a revenue stream, and teachers as an obstacle to market efficiencies. The threat to our democracy is real, and the saboteurs are in the room. Sometimes, nuance is not good enough. from Nektarina Non Profit (internat'l). There is an interesting richness to how different groups conceive of sustainability education in the U.S.. Some call it sustainability intelligence, or ecoliteracy, or environmental education, or education for sustainability (sometimes abbreviated as either EFS or EfS). 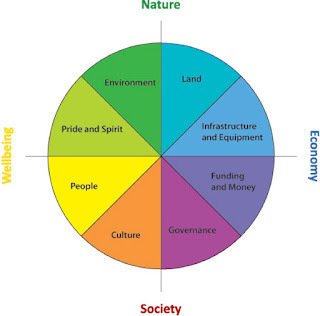 The broad nature of these definitions [of sustainability] has allowed groups and individuals to define sustainability on their own terms, to meet their own needs and those of their places. In one way, this is the promise of sustainability: it is not a prescribed endpoint, but a goal or vision that individuals or communities must design themselves and then plan and take actions to realize. Ultimately, the goal of sustainability increases the investment of citizens—including students—in their communities as they work towards creating their desired future (p. 2 in A Guide to Education for Sustainability, 2011). For it assumed that the aim of education is to enable individuals to continue their education -- or that the object and reward of learning is continued capacity for growth.... In our search for aims in education, we are not concerned, therefore, with finding an end outside of the educative process to which education is subordinate. Our whole conception forbids. We are rather concerned with the contrast which exists when aims belong within the process in which they operate and when they are set up from without (p. 100 in Democracy and Education, 1916). For more information on sustainability education, you can check out The Journal of Sustainability Education. And below is a partial listing of several sustainability education groups, their websites, and selected text. Center for Ecoliteracy (link): Big Ideas: Linking Food, Culture, Health, and the Environment: A New Alignment with Academic Standards (2014). "Most people engage in the act of eating every day. What we eat and how we grow, process, prepare, and consume food profoundly affect the lives and welfare of humans and other beings, yet our food systems remain a mystery to many people. It is vital that we all understand the linkages between the food we eat, the ways that culture shapes our food choices and behaviors, the relationship between food and our health, and the interconnections between our food systems and the environment." Cloud Institute for Sustainability Education (link): Brief History. 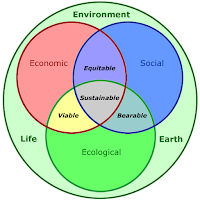 "Education for Sustainability was formed out of the recognition that there is a distinct difference between “education about sustainable development and education for sustainable development.” The former was seen to be a theoretical exercise while the latter asked for the educative process to be used as a tool to achieve sustainability (McKeown, 2002)." Eco-Schools USA (link): Education for Sustainability. "Because of the urgent need for citizens to understand the concepts of sustainability, Education for Sustainability (EFS) or Sustainability Education has become a strong focus worldwide. 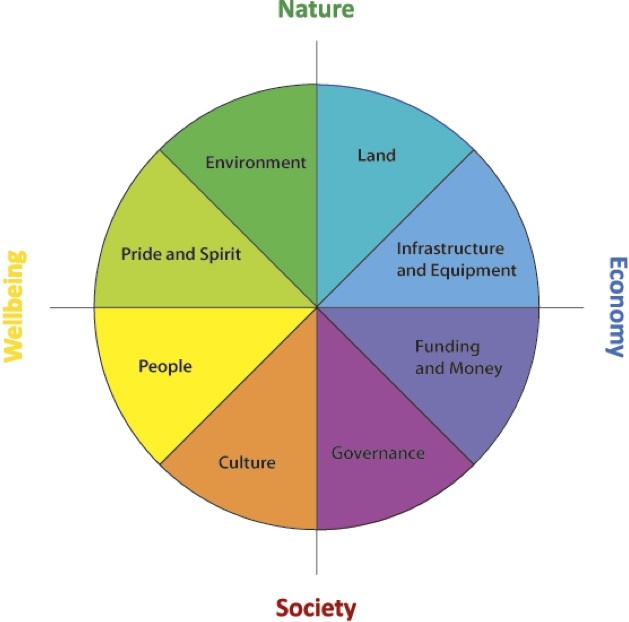 EFS is a framework that can be used to engage students in all subjects by using the real-world context of the complex interconnections between the creation of vibrant communities, strong economies, and healthy ecosystems, both locally and globally. Education forms the foundation for building sustainable communities, and without education we cannot achieve sustainability." EcoRise (link): Sustainability Curriculum Overview (2015). "The Sustainable Intelligence lessons are focused on building the environmental literacy of students and encouraging youth to become thoughtful stewards of the environment and leaders in their communities! Our lessons introduce students to challenges and opportunities surrounding sustainability and engage youth in developing real-world solutions in their communities through design labs, campus eco-audits, and much more. Lessons are available in both English and Spanish...."
Green Living Project (link): Student Connecting to Global Sustainability (nd). "The approach is to embrace the positive and successful stories around global sustainability [and] serve as an effective "the-glass-is-half-full" type [of strategy]. As the future generation, students play a vital role in leading the charge on sustainable living through their schools and communities in an attempt to make a difference locally and globally. National Environmental Education Foundation (NEEF; link): Environmental Literacy Report (2015). "Although knowledge and understanding are important components of environmental literacy, they are not the whole picture. Research has shown that there is often a disconnect between what people know and what they do. In reality, other factors — how people feel, their environmental experiences, social norms, what their priorities are, their skills, their self-identity, and other factors — come into play when people decide to do something or not." education for the past century. Many teachers have been, and continue to be, engaged in EFS or similarly named efforts in the United States and around the world. Schools and programs can relate sustainability to the curriculum through multiple pathways: a school- or program-wide approach; service-learning projects; curricular units; and courses. Just as service learning can provide a needed connection between different subjects and skills, Education for Sustainability creates intrinsic opportunities for students to apply their learning through real work in the school and community." US Partnership for Education for Sustainable Development (USP; link): National Education for Sustainability K-12 Student Learning Standards (2009). 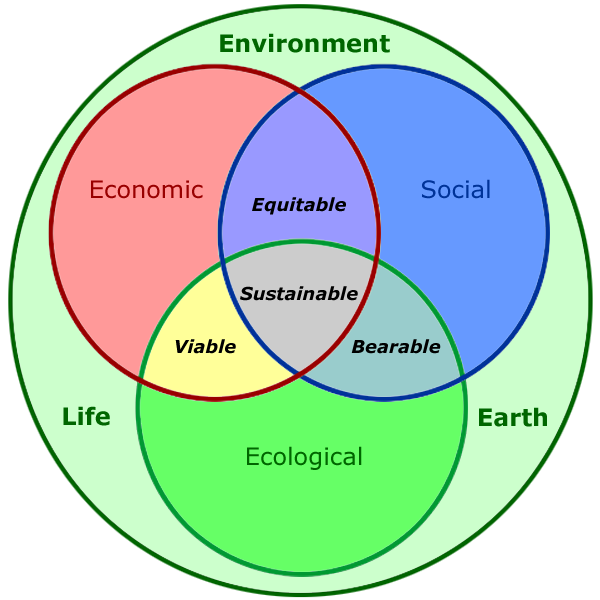 "Education for Sustainability or Sustainability Education is a relatively new and evolving field. For the purpose of the USP standards, Education for Sustainability is defined as a combination of content, learning methods, and outcomes that helps students develop a knowledge base about the environment, the economy, and society, in addition to helping them learn skills, perspectives, and values that guide and motivate them to seek sustainable livelihoods, participate in a democratic society, and live in a sustainable manner (McMillan and Higgs, 2003)." Know of any others resources? Send them my way! Over at Curmudgucation, Peter Greene writes about the snazzy misdirection found in reports like The Gates Foundation's Promising Evidence on Personalized Learning. Green concludes that the report isn't worth reading, but he also cautions that somewhere, somebody is using the fancy, color process report to lead people astray. TNTP (a.k.a. The New Teacher Project), came out with a similar glossy report entitled The Mirage - Confronting the Hard Truth About Our Quest for Teacher Development. The report is a fancy screed that hides behind the "path-to-success" cloak. The report isn't worth reading, but I guess we should really be cautious about the spectacle of these media blitzes. Your gaze hits the side of my face. 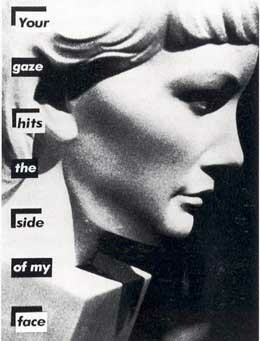 Barbara Kruger, 1982. 2) I appreciate their finding that "Teacher development appears to be a highly individualized process, one that has been dramatically oversimplified." (p. 7) I think this applies to the experiences of our students, as well. 3) This is an ad for the Common Core: "For example, teachers need to demonstrate to their observers that they are posing meaningful questions to students, which lead students to critically assess information and rely on evidence to put forth a point of view." (p. 21) Let's not pretend that this is THE accepted standard for students' engagement with text. And who are these observers? This is a variation of the male gaze. 6) This makes no sense: “Even as districts continue trying to help more teachers improve on the job, they should also prioritize recruiting teachers who already have a track record of success and retaining teachers after they actually become highly effective. In these areas, there are proven strategies, such as hiring teachers earlier and by mutual consent….” (p. 42) How do teachers who “already have a track record of success” get hired in the first place? And what does "mutual consent" mean? Is this code for at-will employment, i.e. no unions? I value labor history and it’s role on creating safe and effective working conditions, so where are the authors going with this? 8) And BOOM! There it is: “Rather, it’s worth exploring ways to combine the disaggregation of the teacher’s role, as described above, with alternative models for school design that allow higher-performing teachers to reach more students.” (p. 43) Is this a recipe for dystopian "personalization," in which computers manage students' learning? I love the idea of efficiencies, but education is a social, people-centered, labor-intensive endeavor. Sure, I’d like my well-supervised 10th graders to work with gaggles of 6th graders doing field studies, but the ratio should always honor the development of community, student safety, and well-rounded learning. Are these the criteria for TNTP's conception of personalization? It’s amazing how terms like “blended learning” and "personalization" can be so easily co-opted by for-profit corporate interests with little understanding of the human dimensions of learning. How does this happen? How do smart people within the Bill and Melinda Gates Foundation get so distracted? Does VIVA's Idea Exchange implicate teachers? To ensure that teachers are key players in the implementation of the Common Core State Standards, New Voice Strategies is inviting you to participate in this VIVA Idea Exchange™. I am not against academic content standards that engage students and teachers. I am for teacher stewardship of educational reform. However, the assumption that teachers are "...key players in the implementation of Common Core..." overwrites, if not co-opts, teacher leadership. To what extent have teachers been the authors of the Common Core State Standards? We’re all familiar with the negative stereotypes that paint teachers unions as only being concerned with salaries and benefits and disavow being held accountable for student performance. I am concerned by the phrase "... being held accountable for student performance." The assumption is that teachers are, indeed, accountable for student performance. But if children arrive at school stressed out, hungry, or tired, then a teacher's ability to be effective is diminished. According to Renee Moore, "The health of the public schools is a primary indicator of the health of an entire community." So if a community is stressed, and children arrive at school stressed, why would anyone implicate teachers? Teachers love their students. We love them so much that we know we have to advocate for systemic equity and reform so that children arrive at school ready to learn. We could agree or disagree on the teachers' role in low student achievement. However, there are so many factors that influence student agency, and I would argue that teachers are only a small portion of that. And what about reciprocal accountability? So what next? Do teachers get more involved in the VIVA Teachers dialogue? Do we pick our battles? Do we embrace our own respective organizational mission (Teachers Lead Philly, Teacher Action Group, Caucus of WE, CTQ, NBCT)? Do we focus on what we want rather than what we don't want? Do we enter the discussion as advocates or diplomats?